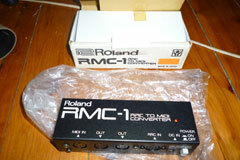 RRC: Input for proprietary Roland RRC equipped devices, such as the Roland FC-100 and FC-100 MKII. Power: 9v DC (AC Adaptor: Boss/Roland PSA-120, 220 or 240 (optional). 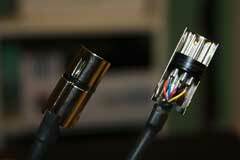 Current draw 7 mA. 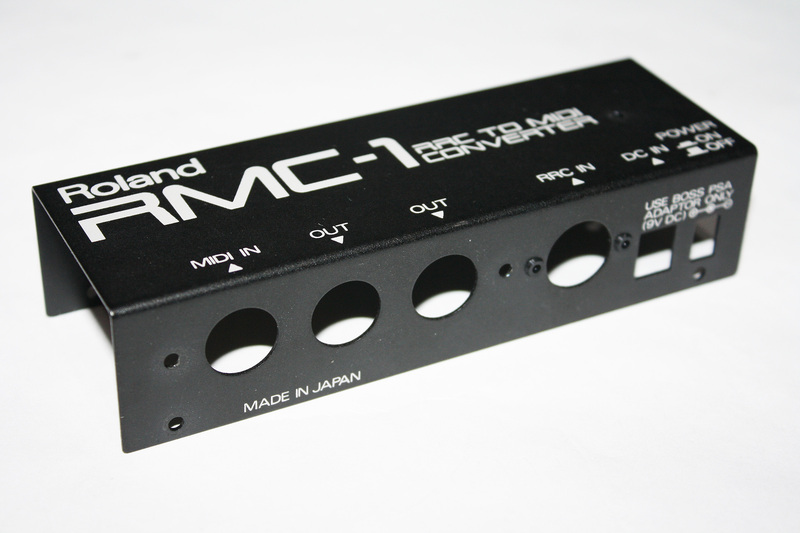 The obscure RMC-1 is something of an "accessory to an accessory." The RMC-1 was primarily paired with the Roland FC-100 MKII foot controller. 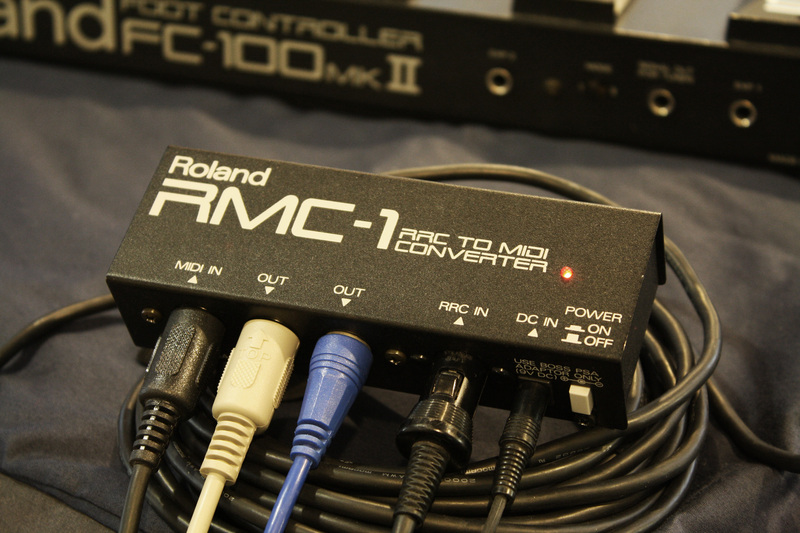 By connecting the RMC-1 to the FC-100 MKII, the FC-100 MKII was able to be used as a generic MIDI foot controller. Without the RMC-1, the FC-100/FC-100 MKII was limited to use as a controller for Roland devices equipped with the RRC-1 protocol. 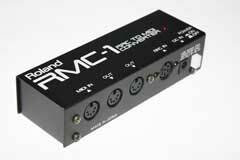 These devices include the Roland GM-70, FC-100, FC-100 MKII, GP-8 and GP-16. 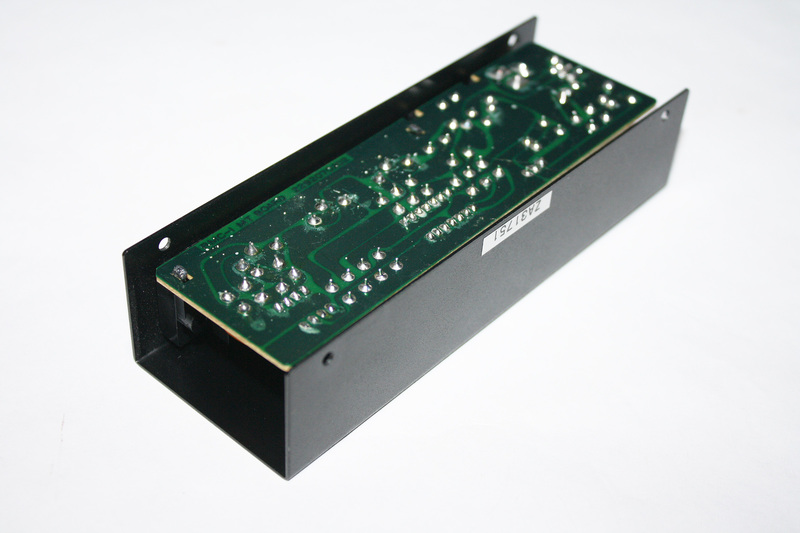 A look at the RMC-1 schematics shows that the RMC-1 is more of a breakout box than an active processor. 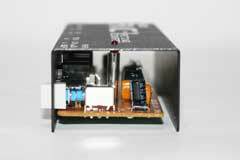 The +9v power supply is converted to +5 volts using a 78L05 linear voltage regulator. 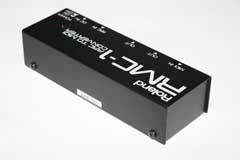 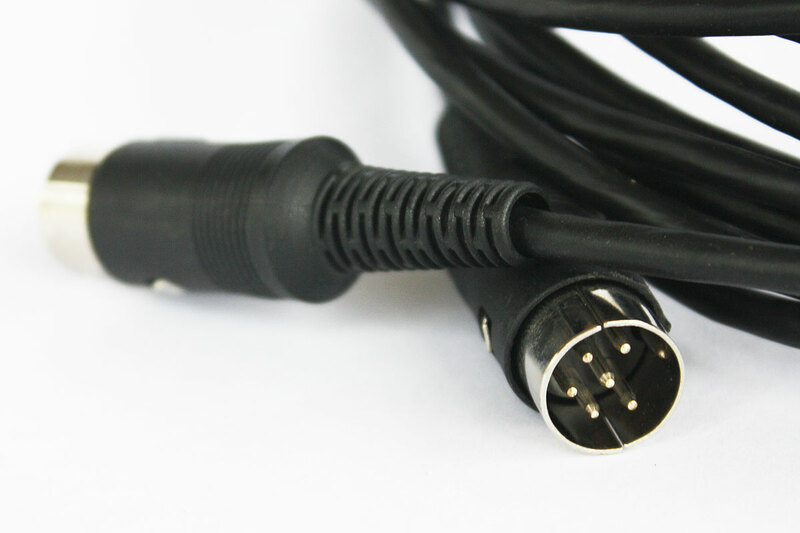 The +5 volt supply is used to power the PC910 optical isolator needed for the MIDI input, to power the 74LS05 hex invertors used for buffering, and finally to power the MIDI output. 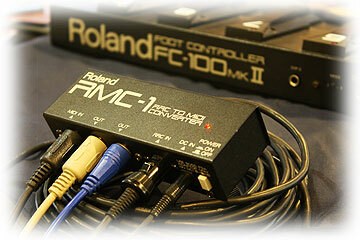 Download the FC-100 MKII Owner's Manual (pdf). 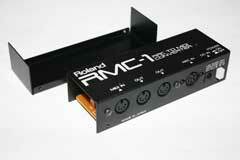 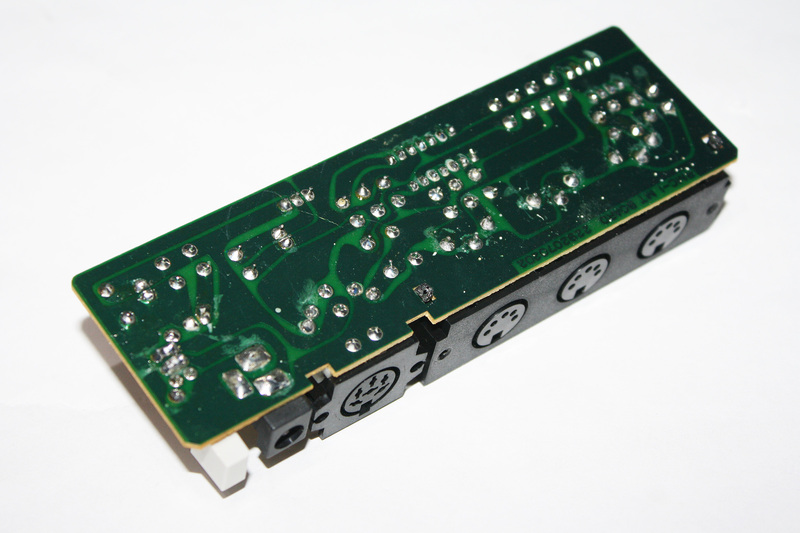 Touchprone RRC to MIDI Breakout for FC-100 mkI/mkII GP-8 -16 GM-70 same as RMC-1. 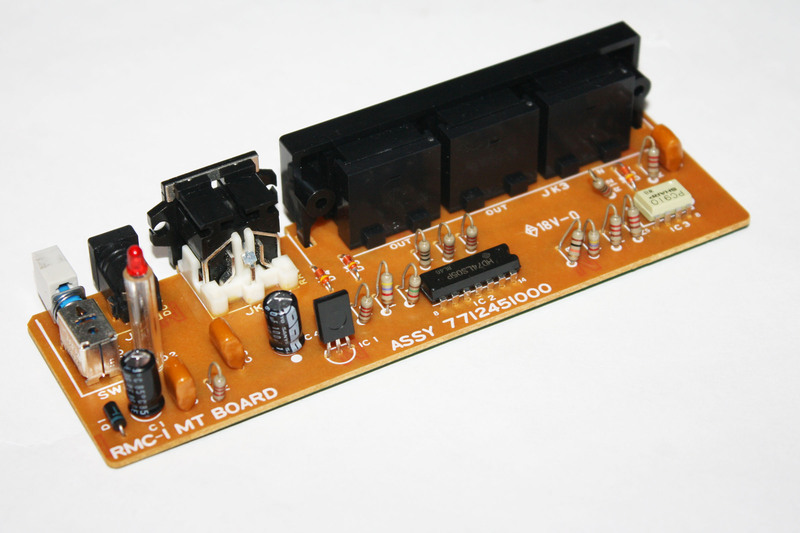 The RMC-1 service notes contains recommendations for the additions of diodes in the RMC-1 to protect the circuit from static electricity. 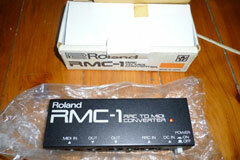 RMC-1 Service Notes - Schematic (pdf). While it would be great to have a RMC-1 to effectively turn a Roland FC-100 or FC-100 MKII into a standard MIDI foot pedal, the RMC-1 is pretty rare. 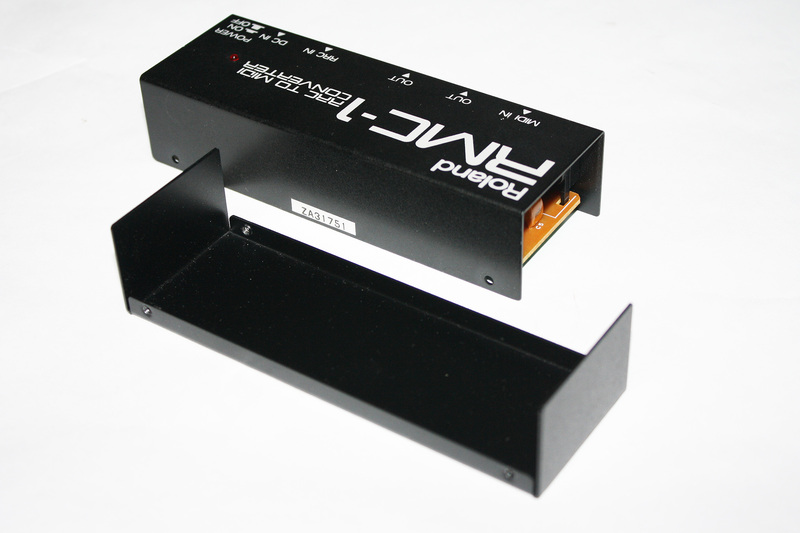 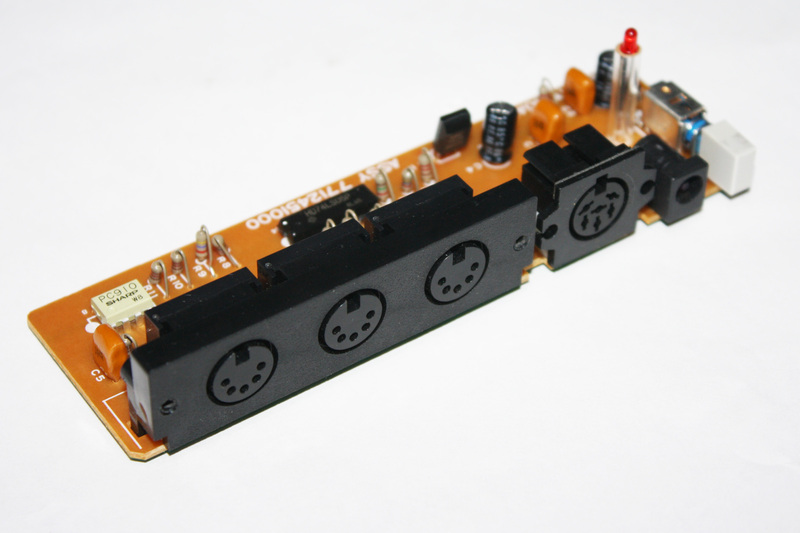 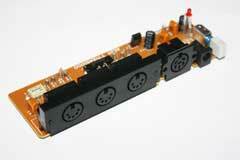 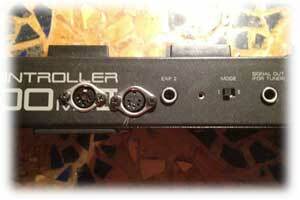 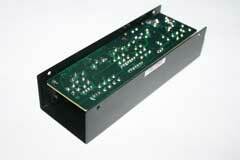 From time-to-time you will come across a FC-100 that has been modified to include a MIDI output jack. I do not have a FC-100 to work with, but my guess is that if you needed to hack together a RRC to MIDI OUT circuit to mimic the RMC-1, you could try connecting the RRC pin 5 (output) directly to pin 5 (output) on a MIDI DIN jack. 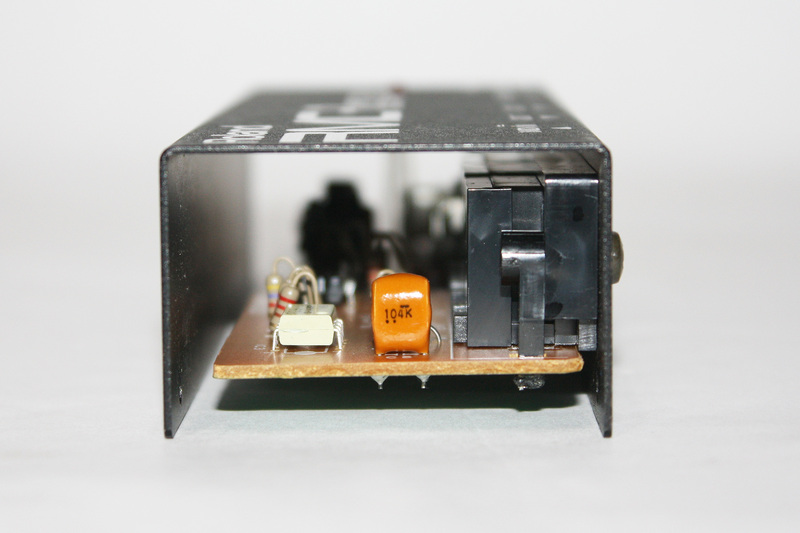 Connect the RRC pin 3 (+9 volt) to pin 1 of a +5 volt 78L05 voltage regulator (or similar), connecting pin 2 of the 78L05 to ground, and pin 3 (+5 volt output) to a 220 ohm resistor, then connecting the 220 ohm resistor to pin 4 on the MIDI DIN jack. 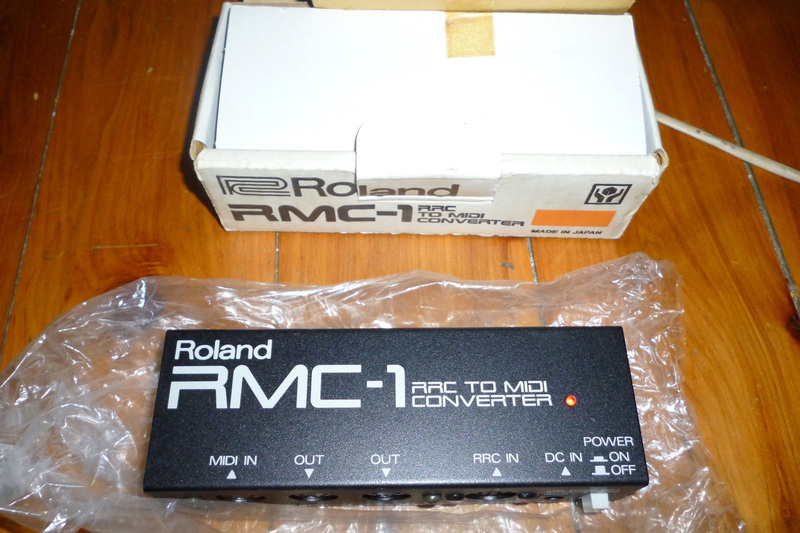 Also, it appears that the MODE switch would be set to position II, the position used for the RMC-1. You may need to experiment. 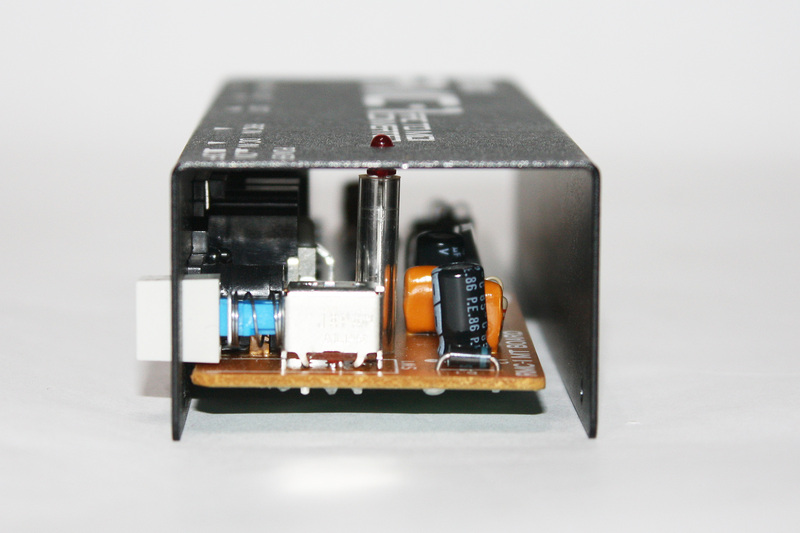 Optionally, add a 0.1 uF and a 47 uF capacitor on the +5 volt output. This helps to smooth out the +5 volt power supply, but the circuit will work without these additional capacitors. 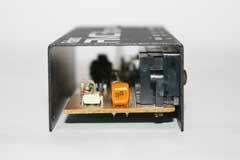 Note that while the 0.1 uF capacitor is non-polarized, the 47 uF capacitor is polarized, so be sure that you connect the positive (+) terminal of the capacitor to the +5 volt output of the voltage regulator. 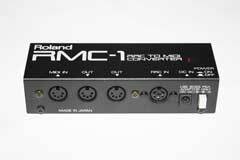 The Roland PG-200, PG-800 and the Roland GM-70 all use a six-pin cable, frequently referred to as the RRC cable. 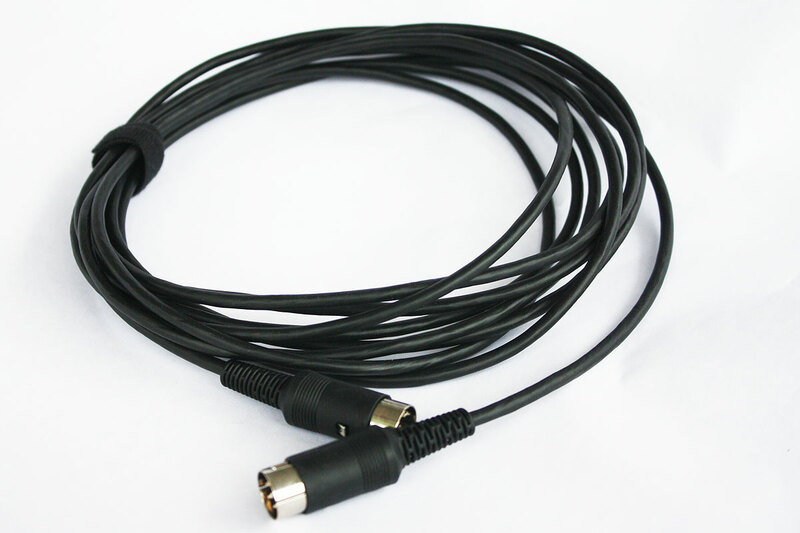 The cables are tough tough to find, since they may get misplaced after thirty years, and often sell for $30 - $50 in the used marketplace. 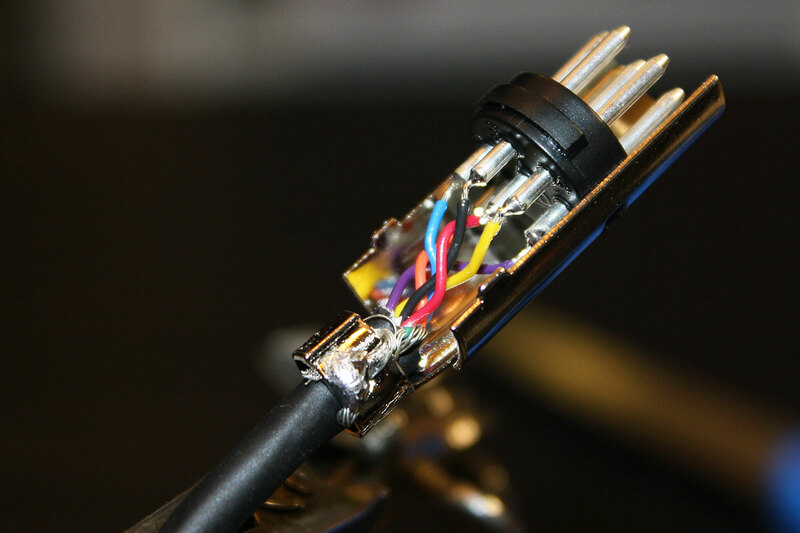 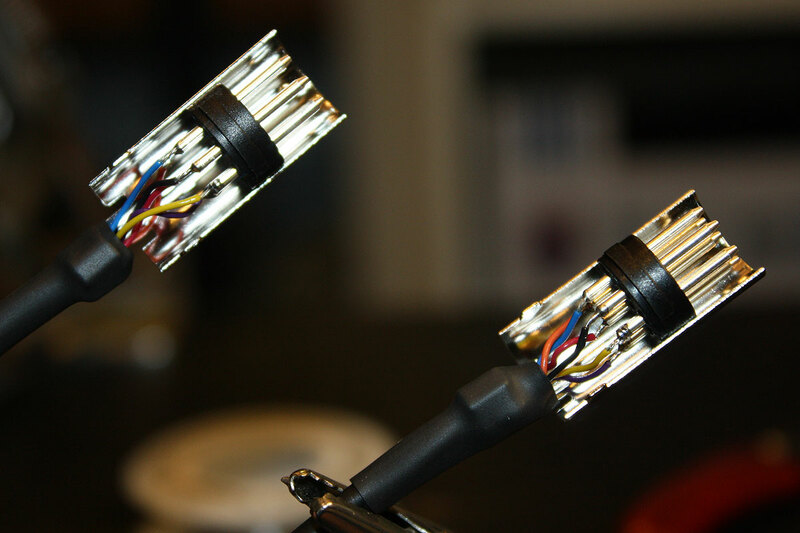 If you have some basic soldering skills, it is easy to make a replacement cable. The replacement six pin connector is readily available, usually referred to as a power connector. You also need some six-conductor wire. Old computer serial cables use eight conductors, or you can search for specialized wire. 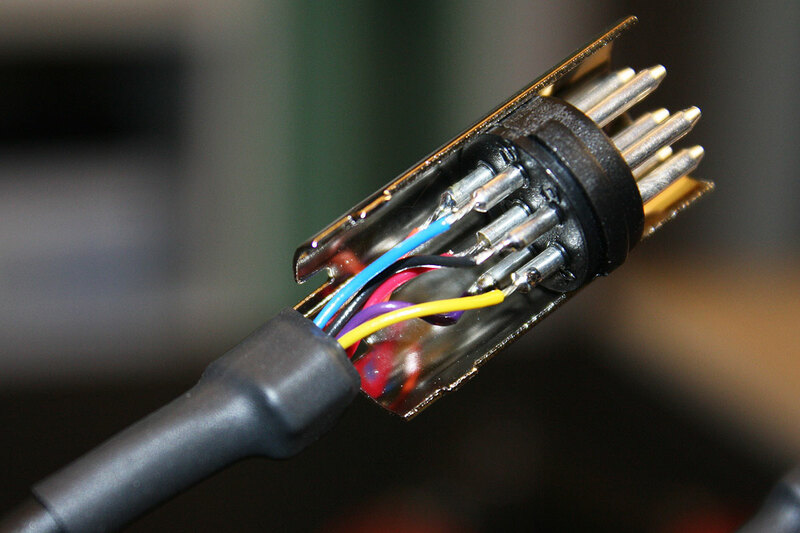 The cable is wired "straight-through" that is, pin 1 on the first connector is wired directly to pin 1 on the second connector, etc.